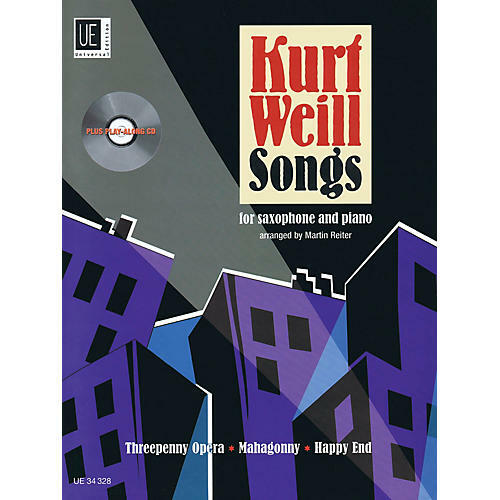 10 songs from three of Kurt Weill's most famous stage works are presented here in intermediate arrangements for alto and tenor saxophone and piano (includes separate parts for alto and tenor saxophone). Players of any age will relish the chance to play these famous tunes and in the absence of a live accompaniment, the piano accompaniment provided on the CD will provide stylish support. Includes: The Threepenny Opera - The Ballad of Mack the Knife, Polly's Song, Love Song, Tango Ballad, Barbara Song, Rise and Fall of the City of Mahagonny - Alabama Song, Jenny's Song, Happy End - Don't be Afraid, The Liquor Dealer's Dream, and more.